I was lucky to meet the founder of WordPress, Matt Mullenweg, at Blog World Expo last year. 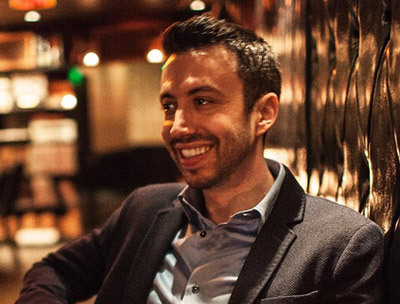 Matt is one of the founders of Automattic, the company that makes WordPress. I wrote an article over a year ago about how Matt was changing the web at age 21 with the massive popularity of WordPress as the bloggers’ platform of choice. I first started using WordPress back in November of 2006, almost two years ago. It is amazing how far WordPress has come in the past few years, both in regards to its software and how widely used it is being used. Major companies like Sony, General Electric, The New York Times, and The Wall Street Journal are now using WordPress for major sections of their websites. That’s quite the list of clients. The WP 2.6 upgrade for the UBD blog and my blog were absolutely painless. I strongly recommend everyone check out the new version of WordPress. I’ve been playing around with another piece of Automattic software lately that is not as well-known as WordPress. I will be writing about that experience in my next post! Download WordPress 2.6 at wordpress.org. Upgrading? Read this guide on upgrading WordPress. Learn more about WordPress 2.6 here. I intend downloading after I read more about it. I agree that they have come a long way and the way they innovate constantly keeps them way ahead of any other platform. So soon after version 2.5 we have 2.6 already. WordPress rates as the definitive blogging software. Who can realistically compete with their offering? This really is a great company! 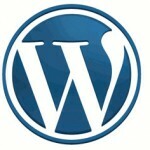 I love wordpress! I wonder how I would blog without it today. WordPress has been doing very well in making improvement. They provide very great features. I started out using Blogger way back in the day when I “attempted” to build a blog and I think the reason that I did not like it was because of the customization. Anyway, I was a web designer and I liked things to look cool and custom. I found Word Press last year and I have been so happy with it. I love that you can do so much with it, and if you have the skills you can make it do about anything you can think of so thanks to them for that and it really is great for the newbies AND the advanced so it is all I recommend now. Thanks and Great post Nate! Certainly WordPress IS the platform of choice for bloggers. There seem to be some terrific features 2.6 has, definitely need to check them out. I’ll go against the grain here… I’m holding out on upgrading until maybe version 2.6.1. I’ve never been entirely happy with version 2.5, especially photo uploads which it made a real pain in the neck. I’m going to wait until I’ve heard from more people who had problems with 2.5 uploads as to whether or not 2.6 has made things any better or not. Could the ability to restrain yourself from eating one marshmallow make a difference between struggling through life and the ability to retire wealthy and early? Yes it can, according to a study done in the the 1960’s by Stanford University psychology researcher, Michael Mischel. For more information please visit http://simplisticthoughts.com/category/finance/. Best way to upgrade ? Fantastico OR auto upgrade plugin or manual ? Yeah im not gonna upgrade. I think it’ll be fine. Oh, Thanks Nate for this update, will check it out the upgraded one. You put up good points regarding WordPress 2.6. It seems interesting. Thanks for sharing the video. I have now downloaded the upgrade and am extremely happy. The downloading experience itself however was something about which the less said the better. Took some doing it did! I started using wordpress casually about 12 months ago now i’m completely addicted. I’ve lost my house, my girlfiend and my dog. All I’ve got left is my blog! Heh heh! The latest version is awesome, i love the live preview feature! I too am amazed at how far it has come! WordPress is setting the standard and not resting on their laurels either. It is going to take something really special to go up against them. I’ve been with them for some time now and I have been most satisfied with their services. – I’m a huge fan of WordPress, especially for getting a site indexed quickly. – I’ve been hoping for image captions for a long time. Do you have any plugins or tool for checking duplicate post content. I just have started blogging, and the WordPress makes it so easy for me to get going. Cool with all the additional features you can use with WordPress too! WordPress is an awesome application. I am still afraid to upgrade to 2.6 in case some of my plugins don’t work for the newer version, but I want to get around to it soon. Have to check myself if it run ok on my blogs. The most waited version of WordPress, Version 2.5 is out. 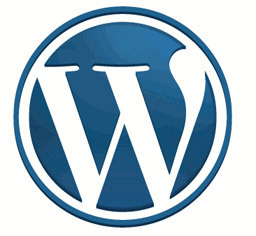 WordPress 2.5 was in the making for nearly 6 months now and it has lot of new features and most. Next Next post: What Cars Do Dot Com Moguls Drive?